More about iittala Toikka Baby Owl For years Toikka's barn owl has enchanted bird enthusiasts and non-enthusiasts alike. For admirers of the Barn Owl, the Baby Owl will be a very welcome addition to the Toikka collection. For those unfamiliar with Toikka, the owlet is a good introduction to Toikka's imagination and craft. The owlet has large baby blue eyes, scalloped silver feathers, and a yellow/orange body. Acid stamped "O Toikka" on the bottom.All of the Toikka birds are highly collected, individually made, mouth-blown pieces of art. Each bird is handmade at iittala�s famous glassworks shop and carries a mark ensuring authenticity. 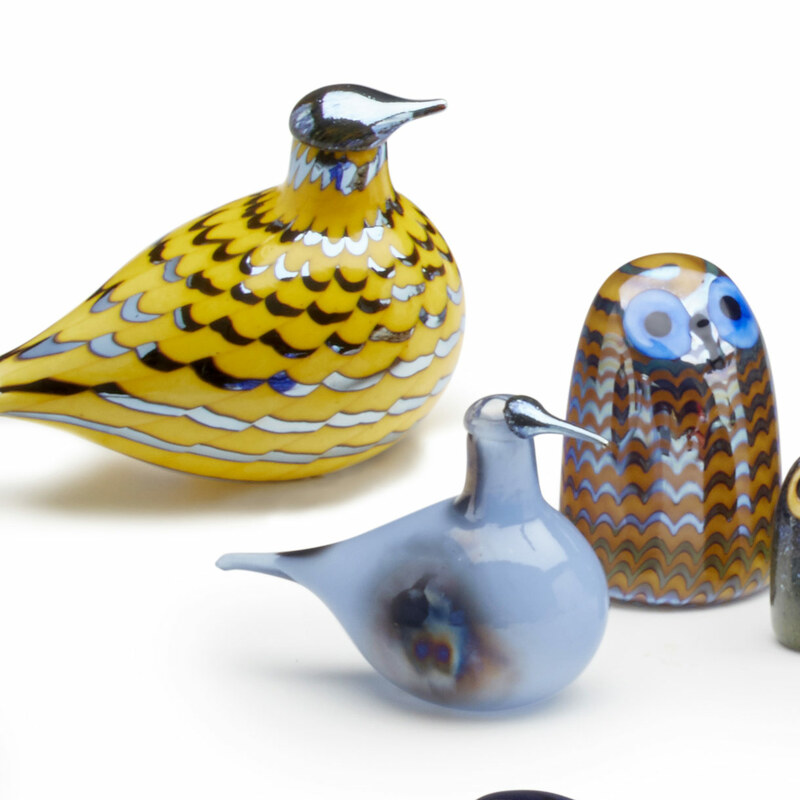 These birds are great gifts for bird-lovers and those who appreciate mouth-blown glass art.